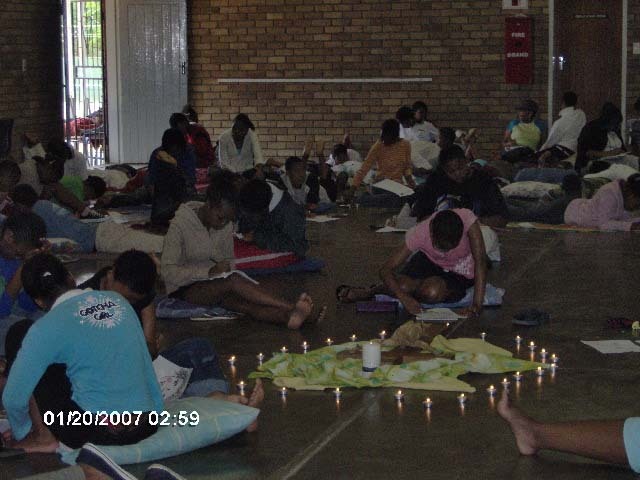 The girls praying around the cross while they write down the issues in their lives that cause them pain, un-freedom, concern, etc. 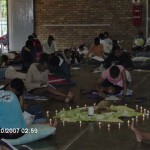 They do this during the commitment to change behaviours that do not give them quality of life. 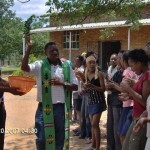 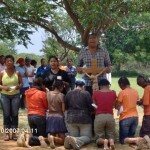 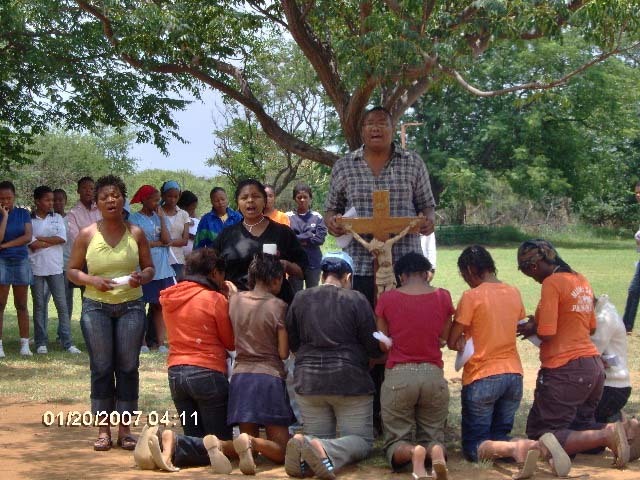 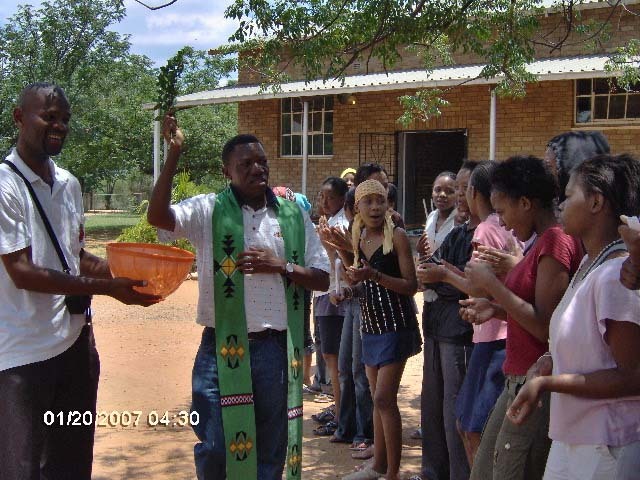 Fr Justine giving the participants of EFL a special blessing during the reconciliation service in Rustenburg – South Africa.